Chinese smartphone manufacturer Huawei’s sub-brand Honor has recently launched its latest flagship, the Honor V10 just a few weeks ago. 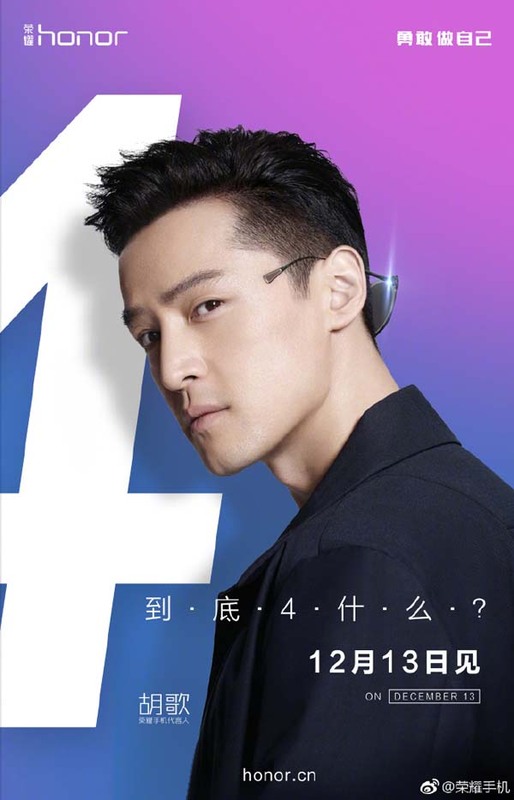 But according to some new posters on their official Weibo page, there will be another launch three days later on December 13. It is speculated the device is either Honor Note 9 or Honor 9 Lite or maybe the Honor Magic 2. 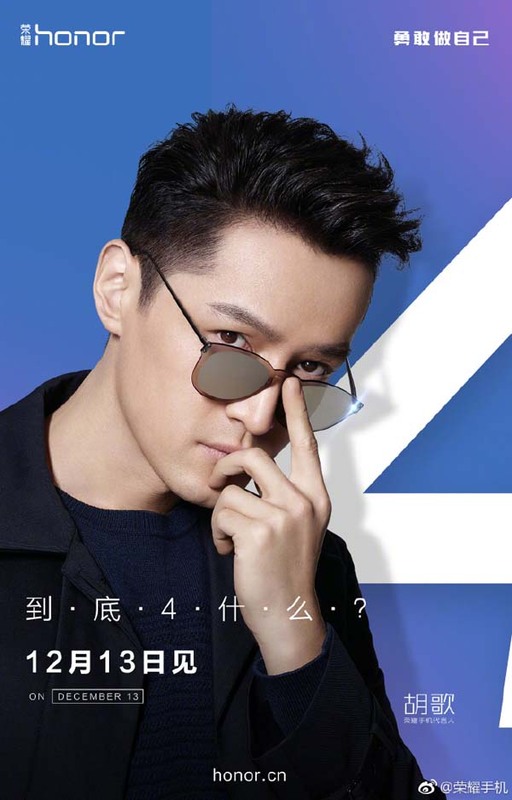 The two posters Chinese singer and actor Hu Ge. 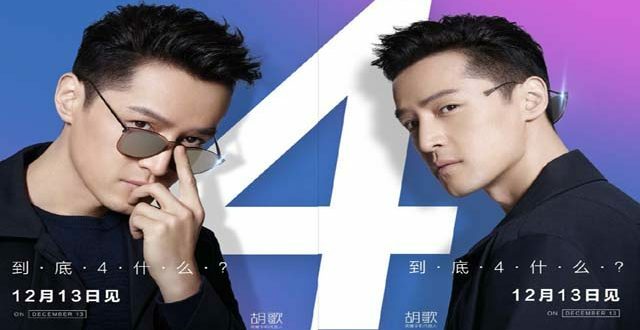 In the first poster, he is shown wearing a pair of sunglasses on his face while the second shows him wearing glasses on the back of his head. Interestingly, there is a letter written in the bold white font on the poster which hints at the fact that the upcoming device may feature dual rear and front cameras, hence 4 cameras on the device. Smartphones with four cameras are not new with Huawei. We have already seen in the Honor 9i, rebranded as Huawei Maimang 6 in China, the Huawei Nova 2i in Malaysia, and the Huawei Mate 10 Lite in other markets. These naming scheme and product releases get real confusing, and it makes no sense having so many names for a product. Now there were some rumours that Honor would be launching Honor 9 Lite/Youth alongside the Honor V10 but it didn’t happen. But Honor has recently discounted the Honor Magic by 1000 Yuan just a week back which hints to the launch of the Honor Magic 2. The Honor Magic didn’t get a launch outside China so let’s not get ahead of ourselves. Also, the Huawei Honor had launched the Honor Magic last year on December 16 which is certainly not a coincidence. The device was beautiful with curved edges and offered features way ahead of its time like contextually aware AI, dual cameras, the fastest charging graphene batteries which weren’t mainstream at that time. The media invites are out for the event. Let’s see after three days what this new smartphone from Honor has to offer this time.